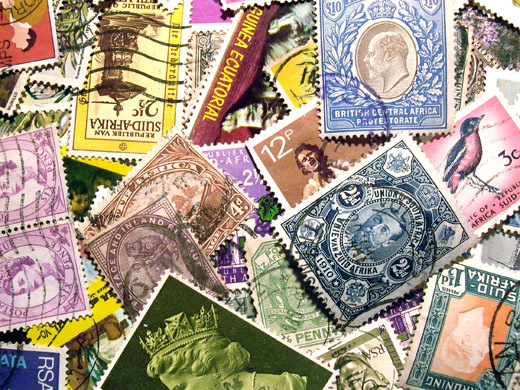 Since the late 1920s, the BMS Stamp Bureau has been raising money for BMS World Mission by gathering and selling used postage stamps and other collectibles. In 1928, this first appeared in the BMS accounts as a contribution of £60; now, with your help, in the last financial year it passed £17,500 to BMS. As you send stamps, and other collectible items such as first day covers, coins, medals and cards to the BMS Stamp Bureau, they are collated and sold on to collectors and dealers. The income raised is passed on to BMS to support our work of transforming lives around the world. 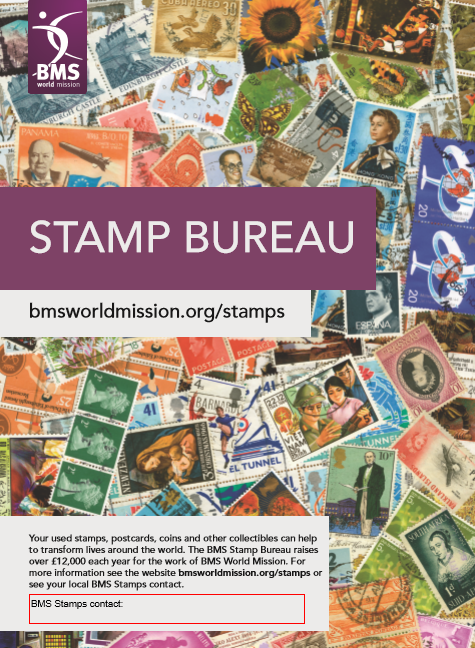 As always we value the support of churches and individuals who regularly send both small and large quantities of stamps and other items to us, those who pass on collections by way of a legacy, as well as our team of Stamp Bureau volunteers (see details below). For more information order our stamps leaflet (below). During the BMS Financial Year ending 31st October 2018, the Stamp Bureau passed £17,500 to BMS through the sale of stamps, cards, coins and other items. We are grateful to everyone who sent in donations and to the Stamp Bureau volunteer team in generating this income for mission work around the world. Please address any parcels or packets containing donations for the BMS Stamp Bureau to the BMS address in Didcot. Items can be delivered to Baptist House in Didcot if you know someone calling in or going nearby and this will save postage costs. Do not forget to mark the package or parcel ‘For BMS Stamp Bureau’ and to include an email address or an SAE for an acknowledgement. Please do not include other items for BMS as such items may get delayed. We can also sell accessories so please include with donations items such as tweezers, hinges, unused pages and albums, packets, coin holders, card pages etc. Your stamps can transform lives around the world! Whether that’s providing life-saving healthcare in remote parts of Chad, pioneering new expressions of church in France, giving access to justice for the poor in Mozambique, delivering clean water to remote villages in Afghanistan, or long-term earthquake recovery in Nepal. All of these, and plenty more besides, are examples of the life-transforming work that Christians in the UK are enabling through their giving, their praying, their going, and their stamps! An A4 poster to print. The ‘BMS Stamps Contact’ box is editable so that you can add the name of the person who co-ordinates the collection of stamps locally, before you print it. Information on collecting all types of stamps, coins, notes, badges, medals, postcards and small cards – or buying any of these items – to raise money for BMS.